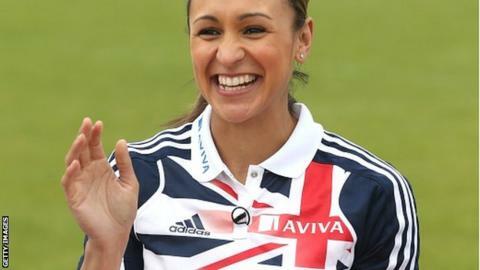 British Olympic hope Jessica Ennis has revealed she will compete in four events at the Olympic trials in Birmingham this month. The European heptathlon champion will take part in the 100m hurdles and high jump on Saturday 23 June and in the long jump and 200m the following day. "I want to give myself a real test over two days, as I'll be in two heats and four finals on the weekend," she said. "I'll be taking on specialists who will all be fighting for Olympic spots." Ennis, 26, will be seeking to build on the form she showed in Austria last month when she set a new British record, beating the previous mark by Sydney Olympic gold medallist Denise Lewis. "Everything is focused on London 2012 for me and a packed Birmingham Alexander Stadium will be the closest I'll come to replicating that tough schedule and environment ahead of the Games," said 2009 world champion Ennis. "I've got a gruelling couple of days lined up. "The competition will be tough and there will be no let-up over the two days."